Looking for a Ford Dealership in Illinois? Visit Vogler Ford! If you’re considering a Ford for your next vehicle, you’ll want to find a reputable Ford dealership in Illinois. At Vogler Ford, we are passionate about the vehicles on our lot as well as the new and loyal customers that purchase them. We strive to offer excellent service and every convenience possible to our customers. So, if you’re looking for flexible financing options, a wide selection of vehicles, low pricing, and use of our on-site departments, you’ll want to check out Vogler Ford. 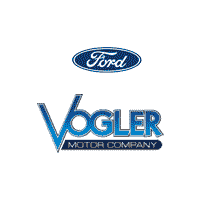 If you’re looking for an extensive selection of Ford vehicles, you’ll love what Vogler Ford has to offer. We pride ourselves on offering a vehicle for every driver that enters our lot. 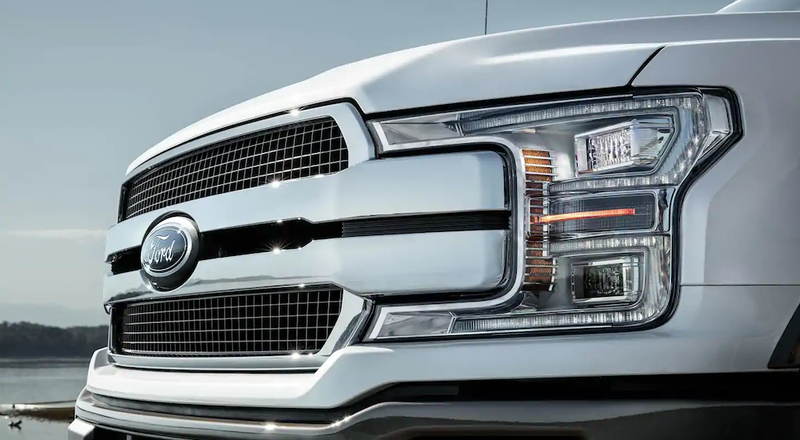 Whether you’re looking for a versatile SUV like the Ford Escape or a powerful truck like the Ford F-150, we’ll have a variety of new and used models in various trim levels and options. Not quite sure which Ford vehicle you’re looking for? We can walk you through your options and find the perfect vehicle for your needs. If you’re interested in one of Ford’s efficient sedans, we also offer options like the Ford Focus. At Vogler Ford, we also offer a wide selection of Ford Mustangs, perfect for drivers looking for the ultimate performance vehicle. No matter what vehicle you’re interested in you can feel confident that Vogler Ford has you covered and is always ready to be your Ford dealership in Illinois. To learn more about our current inventory, visit our helpful website, give us a call, or stop by our lot! While the majority of used inventory is made up of Ford vehicles, we do also carry a variety of other makes and models. Our used inventory changes daily, however we keep our website up-to-date with all of the latest additions. If you’re looking for a used vehicle, but you are not quite sure whether you’re looking for a Ford vehicle, you’ll still have plenty of options to choose from. In addition, Vogler Ford also carries a wide selection of new and used Lincoln vehicles for drivers looking for more luxurious options. Vogler Ford is also proud to support our local business owners by offering numerous commercial options like the Ford Super-Duty and Transit. No matter what you’re looking for in your next vehicle, you’ll find it at Vogler Ford. At Vogler Ford, we typically have a total of over two hundred new, used, and CPO vehicles available for our valued customers. Each segment of our inventory has its own unique advantages, making it easy to determine which type of vehicle is best for you. If you’re looking for the latest in terms of technology and design, and have a more flexible budget, a new vehicle is likely the right choice. If it is your top priority to save money on your purchase, while still leaving in a reliable vehicle, you’ll want to opt for a selection from our used inventory. Of course, if you’re somewhere in between and would like a newer model year, low mileage, and the look and feel of a new vehicle for a lower price, our certified pre-owned (CPO) inventory could be the ideal choice. If you’re not sure whether a new, used, or CPO vehicle from your local Ford dealership in Illinois is right for you, don’t worry! The helpful staff at Vogler Ford will gladly listen to your needs and budget to help you determine the perfect options for you. As your local Ford dealership in Illinois, we strive to ensure that we function as a one-stop-shop for all of your automotive needs. We offer numerous on-site departments to make it convenient to return for your future vehicle needs. These departments include an on-site service center, tire center, and parts center. At our service center, customers can return for routine maintenance or more complex repairs. Each technician at our service center is fully certified to work on Ford vehicles and will use on the most high-quality Ford parts. Drivers in need of new tires can choose from a wide selection of options from our tire center. Whether you’re looking for all-season tires or specialty tires, we’ll have you covered. Our customers can also visit our website and search for available tires by entering the make and model of their vehicle. If you ever need help ordering or installing parts and accessories, our parts center is here to help. Our Ford experts can help you select the correct parts for your vehicle and process the order on your behalf, all you have to do is tell us what you’re looking for. In addition to these benefits, our customers can also enjoy low and competitive pricing on all of our new, used, and CPO vehicles, as well as regular specials and incentives for vehicle purchases or services. Drivers can also estimate the value of their trade-in by visiting our website or giving us a call. At Vogler Ford, we are dedicated to saving you as much money as possible on the purchase of your new vehicle, while providing a comfortable and efficient shopping experience. To learn more about the benefits we have to offer, check out our website. When you shop with Vogler Ford, you can enjoy the convenience of our on-site finance department, which is dedicated to providing financing for all types of credit backgrounds. Whether you have poor credit or perfect credit, you can expect the financial process of your vehicle purchase to be efficient and painless. Our finance team will listen to your budget and work to secure a loan that works within your desired monthly payment budget. Every step of the way, they will communicate the process and your options, while utilizing their local and national connections to provide the best financing terms possible. Our finance team will also apply our available specials and incentives to ensure that your vehicle is purchased at a low and fair price. If you’re looking for flexible financing options, you’ll want to choose Vogler Ford as your Ford dealership in Illinois. Looking for a Reputable Ford Dealership in Illinois? Choose Vogler Ford! When it’s time to purchase your next Ford vehicle, you’ll want to begin your search by finding a reputable Ford dealership in Illinois. Thankfully, Vogler Ford is the ideal place to shop for your next vehicle. We value our customers and believe in providing every convenience possible during their search for the perfect vehicle. From flexible financing to on-site servicing and an incredible selection of high-quality vehicles, we’re sure you’ll appreciate all that Vogler Ford has to offer. To get started, simply visit our website, stop by our lot, or give us a call! We’ll be happy to answer any questions that you have and help you find your ideal vehicle.